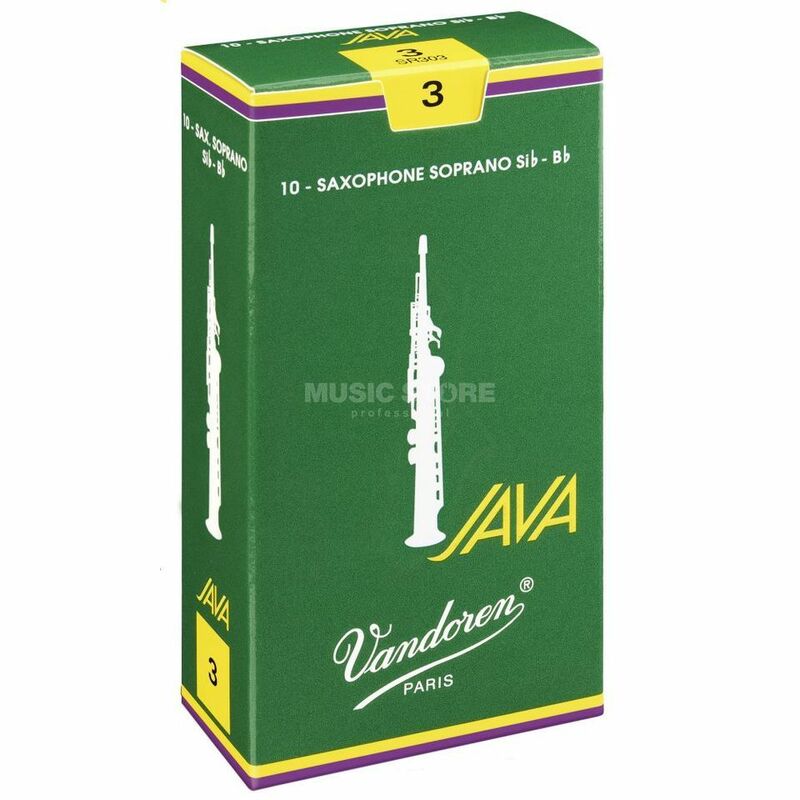 The Vandoren Java Soprano Saxophone Reeds Strength 3.0 Box Of 10 is a box of 10 Bb Soprano Saxophone Reeds, made of bamboo, with an unfiled cut, and a strength of 3.0. Developed in 1983 for jazz and popular music, the Vandoren Java Soprano Saxophone Reeds feature a thicker tip and a more flexible palette* than the Traditional reed, and allow vibration over a larger surface area with maximum elasticity. This type of vertebral column gives the musician much greater playing flexibility, as the resultant elasticity zone is very large. JAVA reeds are more flexible than Traditionals and V16s and vibrate on a long palette, creating a bright sound with immediate response.